The recent entrant in the multi-purpose vehicle segment of the Indian automobile market is the Maruti Suzuki Ertiga that has been introduced this very week in the country. Now it will be exported to the automobile market of Indonesia as well, starting from the end of May this year as per the reliable sources. With a 20 per cent growth in the previous three years, the multi-purpose vehicle segment of the Indian automobile market is the quickest growing market of automobile in India. Right now, the existing share of the multi-purpose vehicle segment in the automobile industry of India stands at 10 per cent while Maruti Suzuki India has a good share of 3 per cent in the automobile market of Indonesia, which it is positive to magnify with the introduction of its Ertiga. The Maruti Suzuki Ertiga will be sent from India to Indonesia via the completely knocked down (CKD) route and then it will be assembled there. Right now with the rising price of petrol fuel, more and more customers are going for the purchase of diesel engine cars in the Indian sub-continent when compared to the petrol based cars. Thus the firm has also reached to a conclusion that there will be nearly 80 percent sale of diesel models of Ertiga and the rest 20 percent will comprise of the petrol fuel boosted engines. There were also questions arising in the context of the effect, the launch of Ertiga would bring on Maruti Suzuki’s hatchback model Swift, but the firm just gave out a general update about Swift’s production capacity in units as the answer. The manufacturing of Maruti Suzuki Swift has been increased to 20,000 units from the previous 12,000 units while the waiting period of 6.5 months has now been lowered to a waiting period of 2.5 months. However, the firm is not at all thinking to manufacture CNG trim of Maruti Suzuki Ertiga as the current products of the firm that is boosted by CNG has not been capable to get the attention of the customers and make good sales across the nation. This is because of a lack of refilling options as there are very few CNG filling stations across the nation. 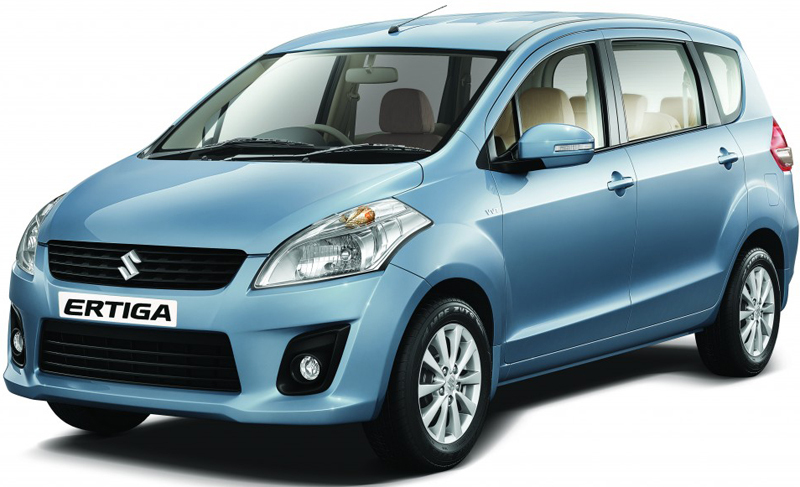 A price of Rs 6.17 lakh (ex showroom Chennai) and Rs 6.12 lakh (ex showroom Bangalore) has been set for the base model of Maruti Suzuki Ertiga. Next PostNext Launch of the Premier Rio Diesel around the corner?